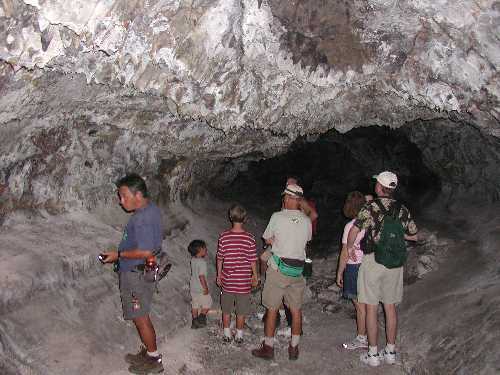 The spelunking experience was a rare look into the Hawaiian past, a way to connect with the a'ina that we so much enjoy. 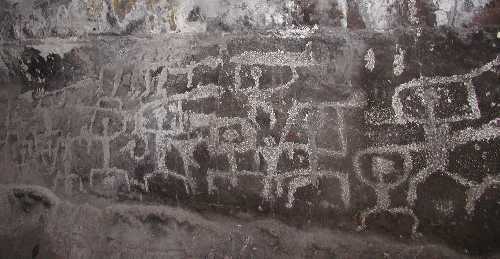 Everyone appreciated Dr. Mark�s knowledgeable interpretations of the petroglyphs and the stories they tell, bringing to life the symbols etched into the cave walls. Mahalo! After dusting off our hiking boots the group headed to Dr Mark and Kelly's house for a bbq/potluck dinner. We were joined by Herb and Diane Conrad about this time. After watching the orange glow of the Western sunset, it was a scramble to set up the 4 telescopes in the driveway dark site. Our dark site for the evening was at 1,425 ft near the top of Palisades. Temperatures were in the low 70's and winds of 6mph and were totally blocked by the Eureka palm landscaping. At the 1,425ft level we were just at or above the marine layer, identified by Craig Combes. The seeing was fair which Doug Summers, confirmed with viewing of select binary stars. Weather cooperated and we had clear skies for the star party. Dr. Mark had remedied the nearby street light by removing its fuse. Ahh, darkness!! The club members focused in on local and deep space objects providing views and information to the club members, Dr. Fedder, local teachers, surgical assistants and therapists (Kelly and Dr Mark's friends) who are eager students of astronomy all enjoyed. As a result, all agreed that the afternoon/evening was a total success and that the West Hawaii Astronomy Club is the club to be envied. Does it get any better?